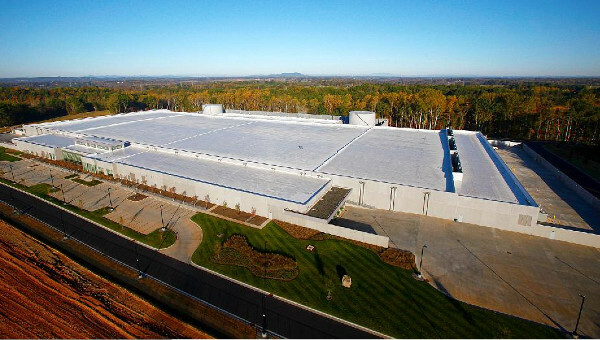 Last February, Apple came clean about its efforts to clean up the environment, detailing intentions to make its Maiden, NC data facility a greener place. That site, already home to one solar farm, is now set to host a second 20 megawatt photovoltaic array spanning 100 acres, a one-two power punch that'll jointly generate 84 million kWh annually. Combined with the company's in-development biofuel cell plant, scheduled for opening later this year, that theoretic yield should hit the 124 million kWh mark -- an amount sufficient to power nearly 11,000 households -- providing 60 percent of the center's electric demands. Despite the pretty impressive numbers, that is still not enough power to keep the train moving. So for that very necessary, leftover 40 percent, the house that Jobs built plans to purchase similar clean energy from outside local sources. When all is finally up and running smoothly, the southern facility will earn the distinction of "most environmentally sound data center ever built." Or, at least until another well-heeled competitor comes along to contest that title. Now that's friendly competition everybody can get behind.